The compact crossover has become pretty well defined at this point, meeting customer expectations with a standardized set of features. Older models’ awkward edges have been rounded off, while outlier choices have died altogether as the competitive class becomes ever more important to — and more closely scrutinized by — car shoppers. 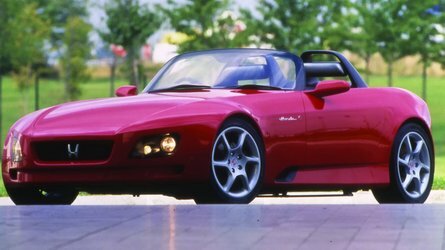 Still, there remain some pretty important differences even within this homogenized group of cars. 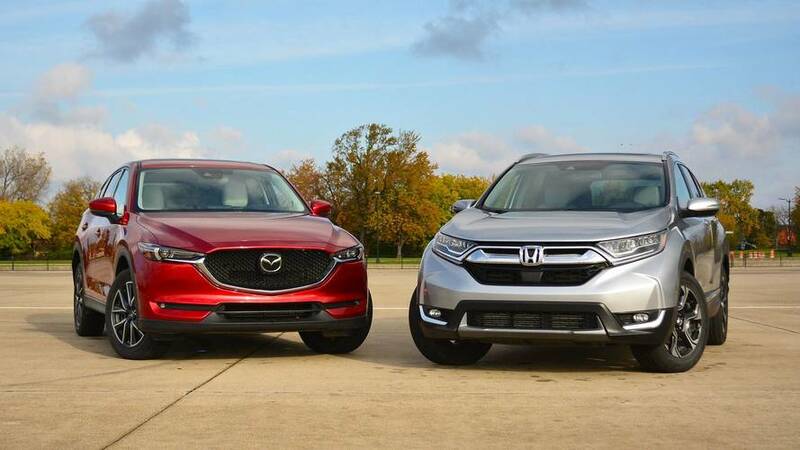 This time, it’s our two favorite mainstream compact crossovers facing off. 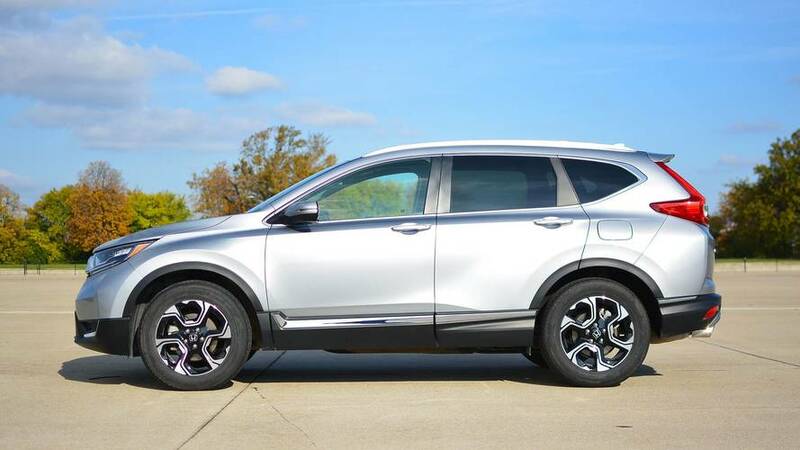 In one corner is the latest Honda CR-V, appealing to your head as the logical choice; it’s the most evolved iteration yet of the ultra-practical machine. 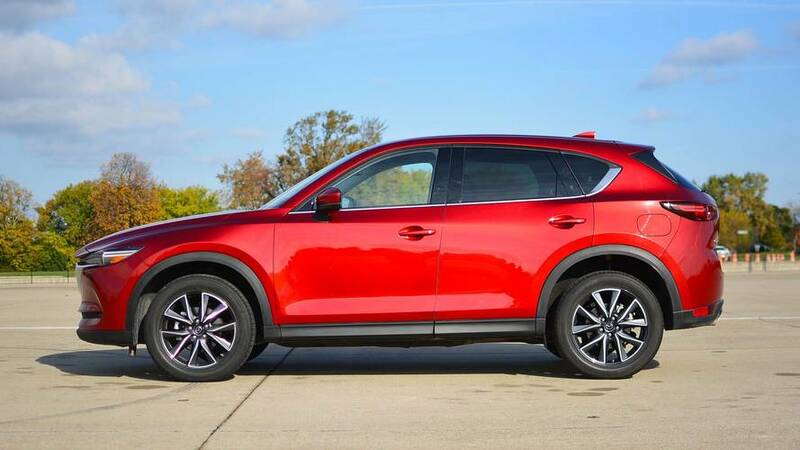 In the other is Mazda’s CX-5, bidding for your heart with its alluring mix of style and driving fun, yet now softened and more grown-up in a bid to add some more sensibility to its offering. Both come to the table with a whole lot of positive attributes, making this one comparison that will go down to the nitty-gritty details. There’s no denying the greater appeal of the new Mazda CX-5. Taking cues from its CX-9 big brother, it’s striking to behold. From the way the long nose appears to extend beyond the svelte grille and taillights, to the subtle lines along the body sides, to the precise shapes of its taillights, it’s a tidy and cohesive vehicle. 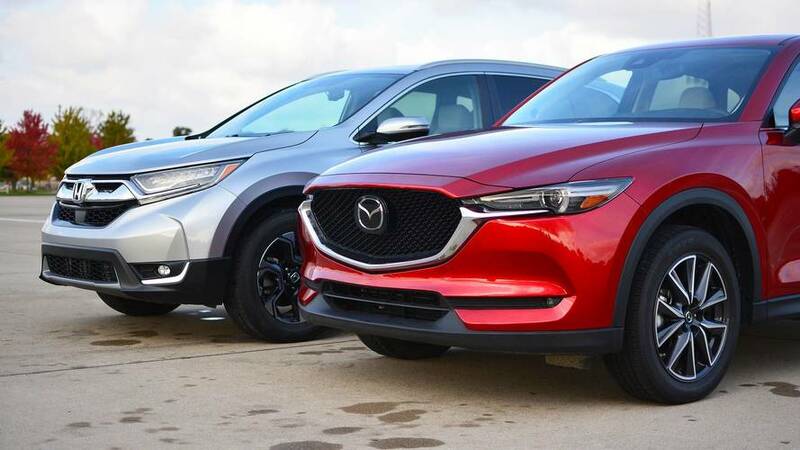 There’s a sense of lightness and speed to the Mazda, and especially when dressed in its premium metallic paints, it looks like you paid more than the sticker price. Honda’s latest CR-V is predictably conservative and blocky, with obvious visual ties to everything else in the Big H’s showroom. A big chin sticks out beneath the dominant, ultra-wide grille treatment, with many, many shapes all over the front fascia. That trend continues out back, where L-shaped taillights and another big slab of chrome adorn the liftgate. There is little about this design that will offend, but nor is there anything to make a passerby do a double-take. 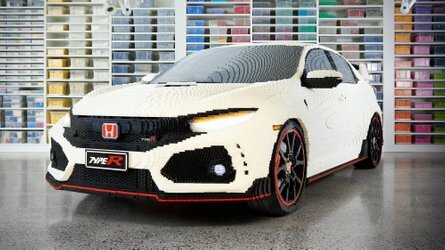 It’s bland and yet also confused; like so many new Hondas (Civic Hatchback is the best example), there are more lines and designs than necessary. And there’s definitely too much chrome for a vehicle not wearing a GMC Denali badge, as evidenced by how well the front grille serves as a mirror. Take just a few turns in the CX-5 and you’ll be hooked. Fleet on its feet and full of vigor, its energetic handling is evident even in everyday driving. Its quick steering ratio has plenty of weight, matching the crisp suspension turn-in and firm brake pedal. That sensation carries over to the powertrain, with incredible linear throttle response and lively power delivery from the 2.5-liter inline-four. 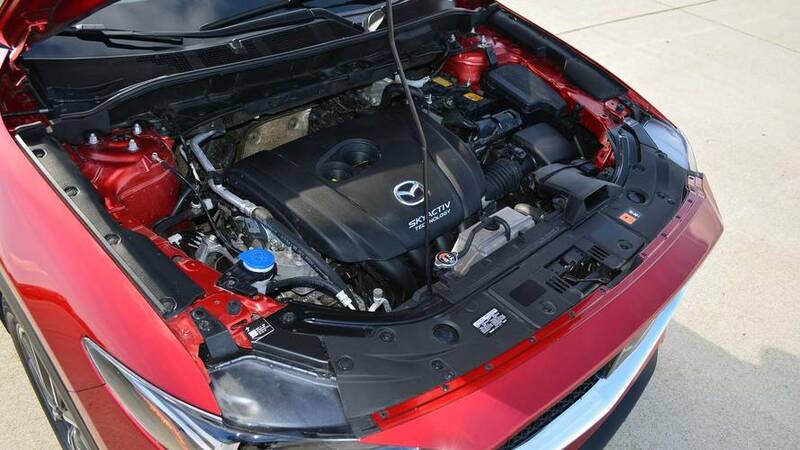 There’s always just-right power and torque, but being a naturally aspirated mill, the SkyActiv four needs revs to do its work most effectively. 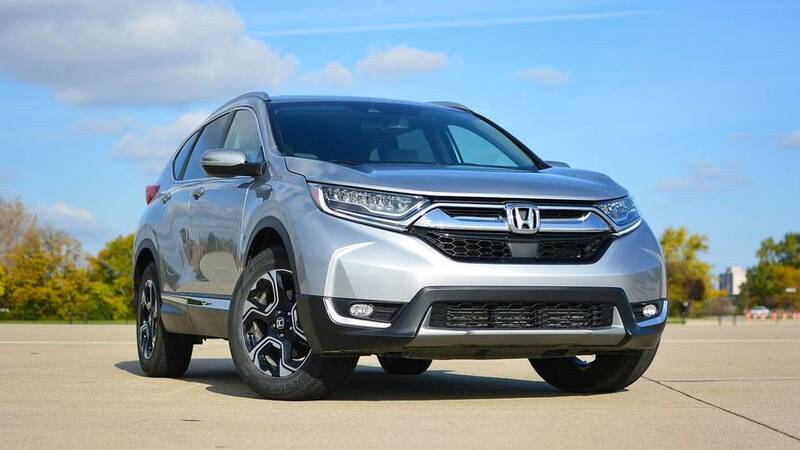 While its revvy nature and the automatic’s eagerness to downshift delight enthusiast drivers, they’re a little tiring compared to the CR-V’s turbo engine. That 1.5-liter turbo dishes out its 179 pound-feet of peak torque from just 2,000 rpm, and the continuously variable transmission ensures that grunt is available as often as possible in urban driving. The result is that the Honda feels less strained and quicker on its feet – even if the rubber band-like responses from its powertrain aren’t as fun. 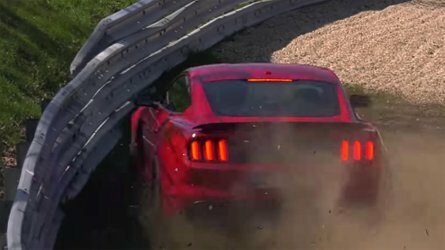 Nor is its ride-and-handling mix quite so exciting as the Mazda’s. The CR-V’s duller steering and plusher suspension tuning will let down apex seekers. 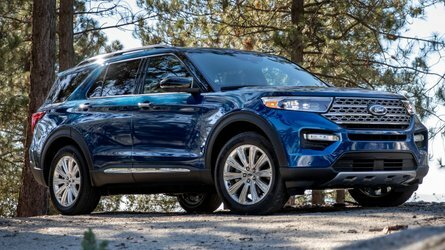 The upshot, though, is that the crossover drives with more poise and composure than its rivals, while also delivering a more civilized experience than the CX-5. Though Mazda engineers have toned down the old CX-5’s wind noise and softened is suspension, it still rides firmly with an an almost Volkswagen-like poise and stiffness, and it’s not quite so silent as the Honda. The CR-V floats more gently over cracked pavement, mutes more outside noises, and altogether does a better job at isolating driver and passenger from what’s going on beyond the vehicle. So while the Mazda CX-5 is the compact crossover that puts a smile on drivers’ faces, the CR-V is the one in which passengers will more easily converse or nap on long trips. Mazda triumphs again here, with touch points throughout the CX-5 that would not be out of place in something with a German luxury badge. An uncluttered dashboard, with touchscreen stuck to the top, tablet-style, is easy on the eyes, though it forces the climate controls down to the bottom of the center stack. 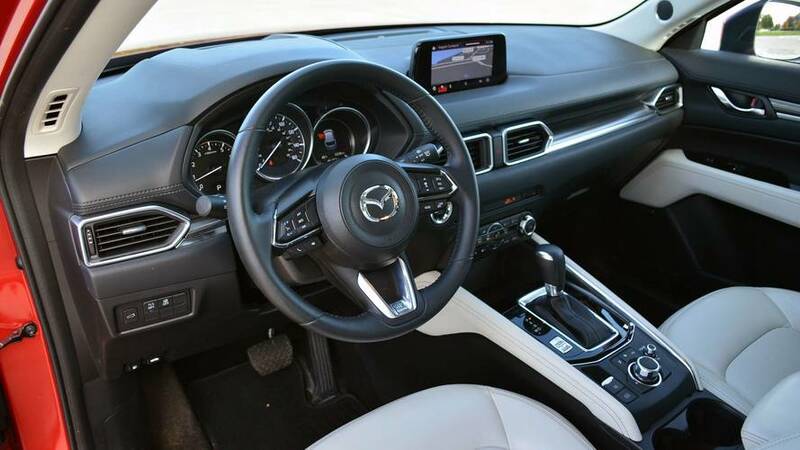 But from the stitched leather to the brushed-metal trim pieces, the Mazda treats the eyes. Hook your thumbs around the thin-rimmed steering wheel and ogle the optional wood that adorns the dashboard and door panels. This is an impressive interior. 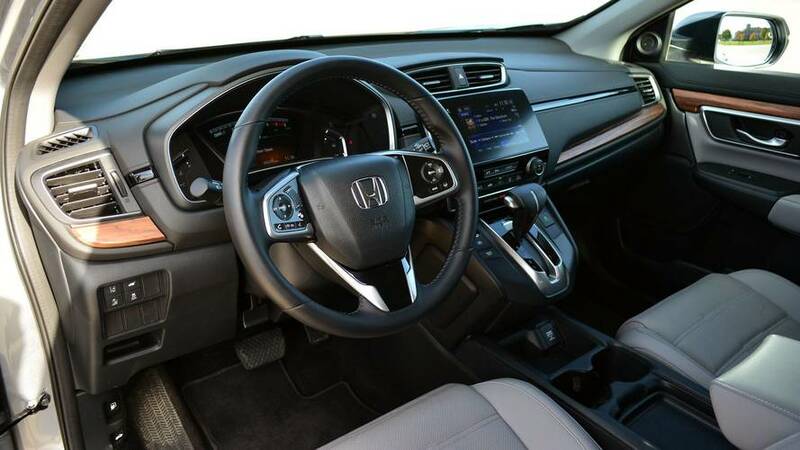 By contrast, Honda’s interior designs remain conservative and dowdy. This fully loaded model still bears acres of dull plastics, and wholly unconvincing wood dashboard trim. Its controls are big and blocky, making them easy to use, but there’s not a whole lot of innovation in the look and feel of this cabin. Reading the full-digital instrument cluster at a glance is easier than deciphering Mazda’s ornate analog gauges, but its dorky 1980s-style fuel and temperature readouts are less comprehensible. The shifter, protruding from the dash on an angled cliff, feels like it takes up a whole lot of unnecessary real estate. 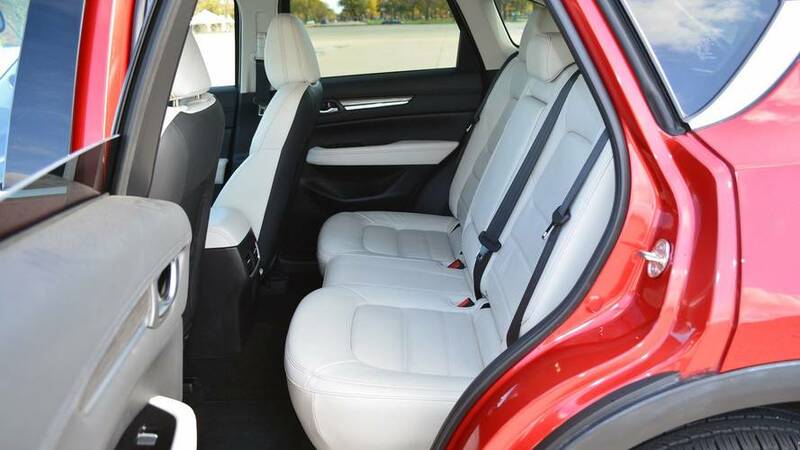 One big mark for Honda goes to seating comfort, with wide, plush cushions into which you’ll sink and remain comfy for the entire drive. But in terms of look and feel, the CR-V fails to push any boundaries, whereas Mazda is beginning to broach the premium-crossover class. Honda’s usual party trick is apparent here, with the CR-V accommodating so much more stuff than it has any right to. The liftgate gives way to a huge load space with a low liftover height and segment-leading room behind the back seats. They’re a cinch to fold down, too, though we wish that the Civic Hatchback’s fantastic sideways-sliding cargo cover were featured here; the CR-V’s hangs limply when not in use and must be manually removed and stowed elsewhere to get a truly open cargo area. Still, the numbers don’t lie: The CR-V has 37.6 cubic feet seats-up, 75.8 cubic feet with them down, versus 30.9 / 59.6 in the CX-5. Not that the Mazda CX-5 isn’t roomy. But with the slightly lower roofline and more generous cargo-area sound deadening of this 2017 model, cubic feet measurements fall slightly compared to the previous model. At least folding the seats is simple because the cargo cover is integrated into the liftgate and doesn’t need to be removed separately. Further aiding practicality, the lip when the back seats are lowered is now smaller, and the liftover height is still low enough to avoid hernias. Still, storage in its center console is so-so, and there’s not a whole lot of space up front in the cabin for storing phones or wallets while driving. 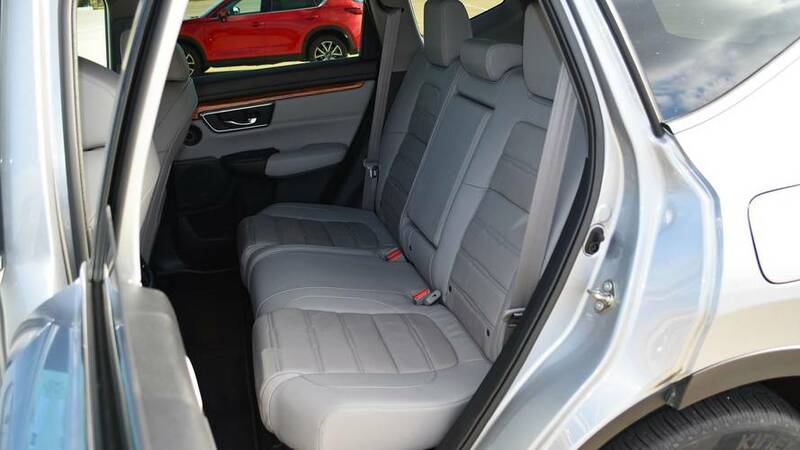 Honda takes the cake when you look at legroom, too, with the CR-V affording more space to occupants in both rows. Up front, its center console offers more room for stowing belongings. In terms of headroom, the two crossovers are pretty much indistinguishable, but in vehicles like this, every extra inch of legroom makes the difference. Trunk space is absolutely the trump card, making the Honda an easy win. Though not as impressive as the one in the new Accord and Odyssey, the Honda CR-V’s touchscreen infotainment system is a breeze to use. 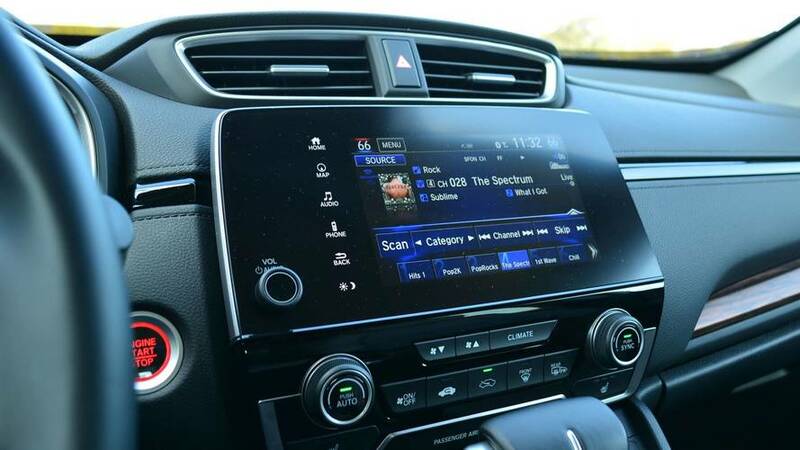 A physical volume knob alleviates one of our biggest gripes with the Civic, while clear on-screen prompts make navigating the complicated menu structure reasonably straightforward. The screen is not especially crisp, though, with graphics that look more Windows 95 than MacBook Pro. Still, Apple CarPlay and Android Auto connectivity allow for simple smartphone integration. The front USB ports deliver 1.5 amps while the rear-seat ones offer up 2.5 amps of power, a nerdy detail but one that means your phone or tablet will charge more quickly than Mazda’s low-power ports. 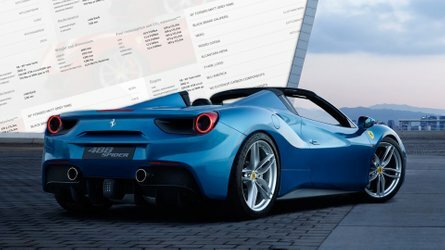 With your eyes forward, a handy configurable color trip computer presents plentiful information right ahead of the steering wheel. Available active-safety tech includes pre-collision warning and braking, adaptive cruise control, lane-keep assist, blind-spot warning, and auto high beams. Other tech goodies include remote start and a power liftgate. 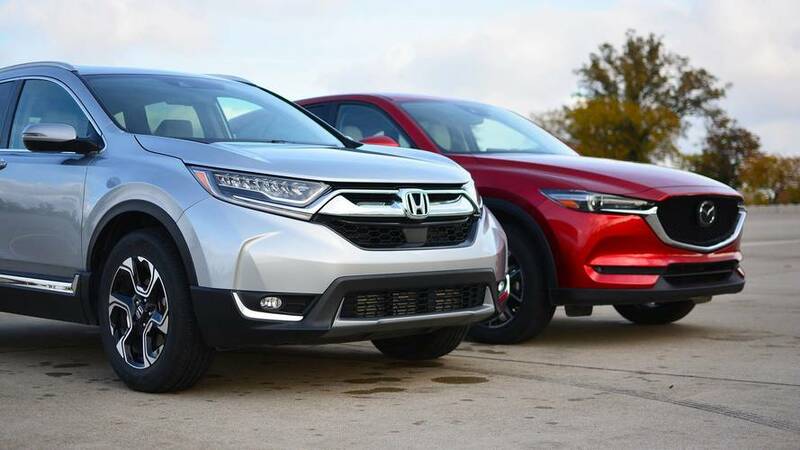 The CR-V matches the Honda head-to-head when it comes to most goodies: active-safety gear likewise includes adaptive cruise, pre-collision braking, blind-spot monitoring, auto high beams, and lane-keep assist, plus swiveling adaptive headlights. A power liftgate is available, but factory remote start is not. When it comes to infotainment, Mazda’s system has a touchscreen but is best operated by the easily reachable knob on the center console. It’s even simpler to use than Honda’s system, with stylish graphics and a simple menu structure. Sadly, an annoying number of controls are locked out when driving: it’s not even obvious how one adjusts the map zoom unless at a complete stop. You also won’t find Apple CarPlay or Android Auto support, though Mazda has said before it’s working on adding those features. 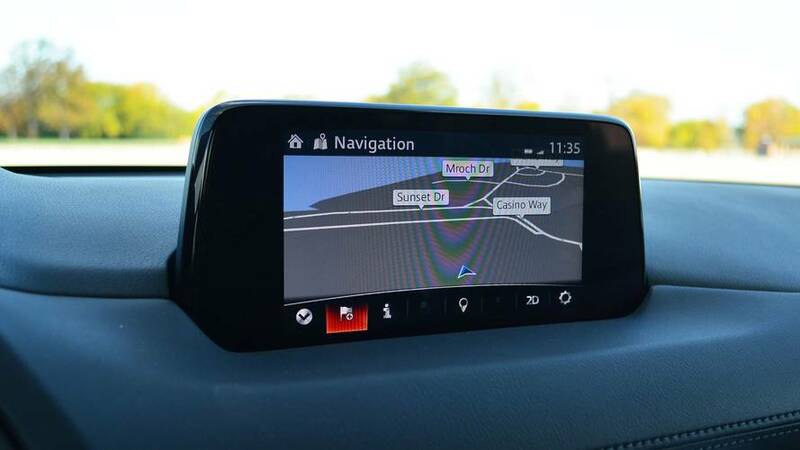 The CX-5 does redeem itself with goodies like a color head-up display and a heated steering wheel, both of which are unavailable on CR-V, but its lack of connectivity choices is a letdown. It’s hard to understate the importance of fuel economy to shoppers, especially for vehicles like these that will quickly rack up big mileage, whether in urban driving or on longer road trips. It’s an easy win for Honda’s turbocharged 1.5-liter engine (which is standard on all but the very base CR-V LX). With front-wheel drive, it’s EPA-rated for 28 miles per gallon city and an impressive 34 mpg highway. That’s versus the CX-5’s equivalent figures of 24/31 mpg – good in their own right, but behind the Honda by a notable margin. Move up to an all-wheel-drive model, like these cars, and the gap continues. The CR-V nabs ratings of 27/33 mpg where the CX-5 returns 23/29. Fortunately for shoppers, both cars run on regular-grade gas, helping save a few pennies at the pump. In our not-wholly-scientific testing week of urban and highway driving, the CX-5 and CR-V actually returned mileage that was pretty much neck-and-neck. But over the long run, it’s fair to expect the Honda to save you more money at the pump. Things couldn’t be closer when you look at the price charts for these crossovers. For the 2017 CR-V, prices with destination run from $24,985 to $34,735, while the 2017 CX-5’s numbers range from to $24,985 to $31,635. 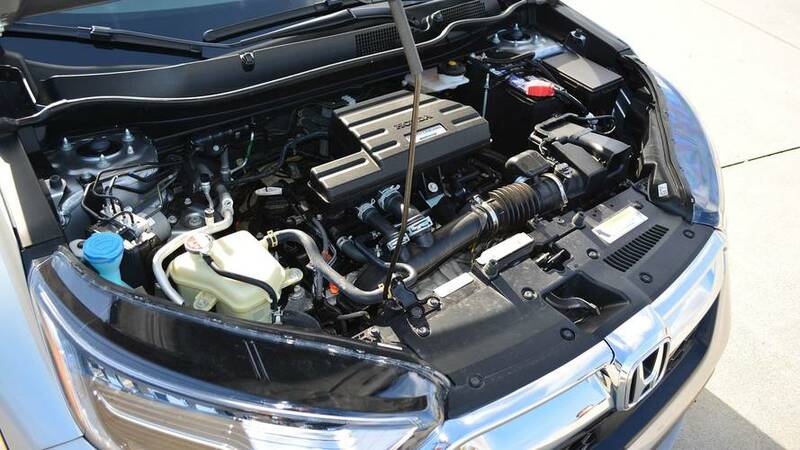 But note that these two fully loaded all-wheel-drive examples, with almost identical levels of equipment, have as-tested prices just $255 apart. Ultimately, with the MSRP figures so closely matched, the biggest differentiator in price between these two models is going to come down to your negotiating skills and any incentives offered by local dealers. There’s no wrong answer in this two-up battle. 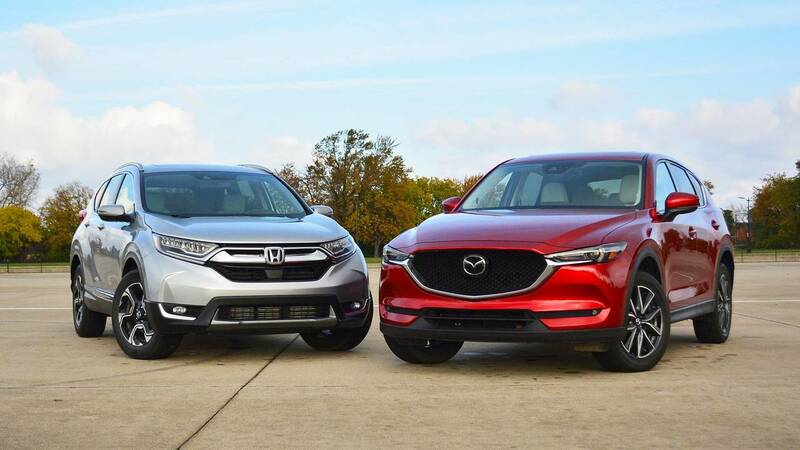 The Honda CR-V and Mazda CX-5 will always be the first crossovers we recommend to buyers because they deliver pretty much all that buyers look for in this type of vehicle with almost no downsides. Stylish and functional, they each drive sweetly and pack abundant family-friendly features. 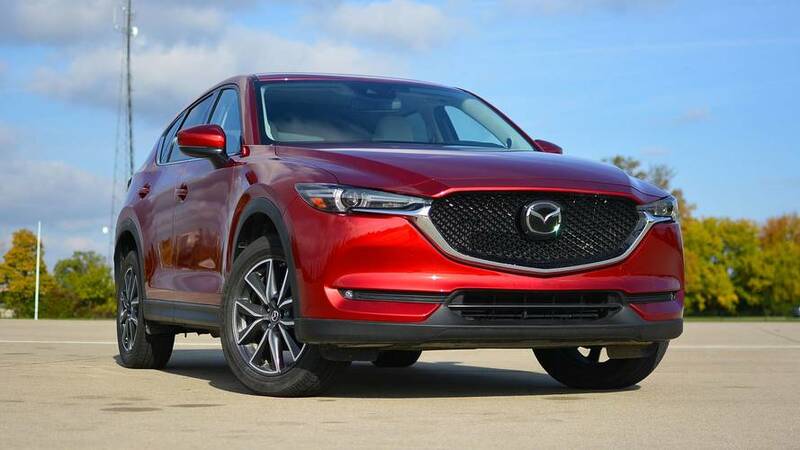 Just as it has since the first version launched in 2012, the CX-5 proves that Mazda can build cars that outdo the competition in terms of quality and driving dynamics. This is the crossover we want to drive and want to be seen in. It’s a delight from behind the wheel, and boasts looks and materials that shame some luxury models costing $10,000 more. Unfortunately, that’s not all that matters for customers making the extremely rational choice to buy a compact crossover. 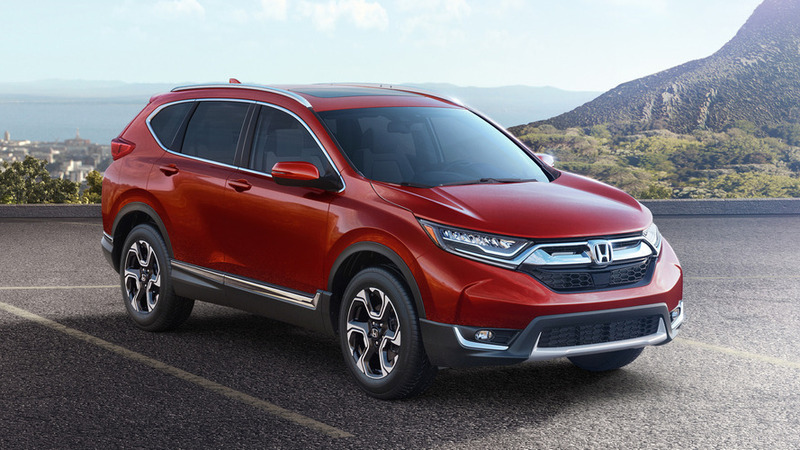 With more impressive fuel-economy figures, a roomier cargo hold, and more low-end punch from its engine, the CR-V takes the nod as the best choice for most drivers most of the time. For that reason, it’s the compact crossover we recommend. The Mazda CX-5 is a very close second-place runner-up, but the Honda CR-V is the crossover worth test-driving first.